Deluxe Cotton Canvas Totes, Personalized in Bulk, Promotional, Cheap 14 Oz., Two Tone. Personalized Deluxe Cotton Canvas Totes, Heavy Cotton, 2 Tone, Custom Printed in Bulk or Blank. Inexpensive, Promotional. Budget Prices for USA, Canada. Bulk deluxe heavy cotton canvas totes, 14 Oz. in two tones. We also supply wholesale blank (not imprinted) heavy cotton canvas totes. 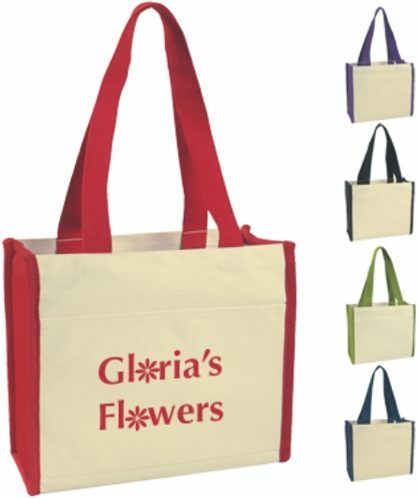 Contact us for pricing of embroidered cotton canvas totes. Budget Prices in America for personalized heavy cotton canvas totes.